Children’s Offering at the Lamoni Community of Christ. January 13, 2019. I captured this moment this past Sunday at church. It is my favorite photo for January 13. 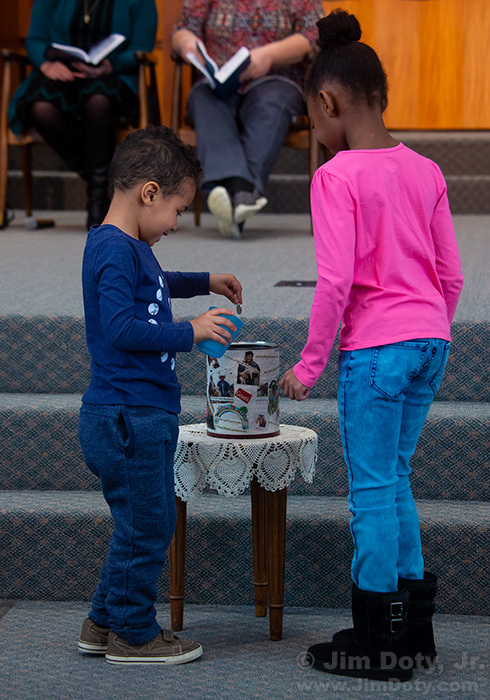 In addition to a regular offering with offering plates, the children go around and collect change in plastic cups. They love the sound when the dump their plastic cups into the metal can. I love the nosiness of it too. As this boy dumped his coins into the can, one coin didn’t make it. So he picked it up off the floor and dropped it in. I clicked the shutter just as the coin left his fingers. Hellan’s, 90th birthday party, January 13, 2017. Hellan is in the gray in the front row. 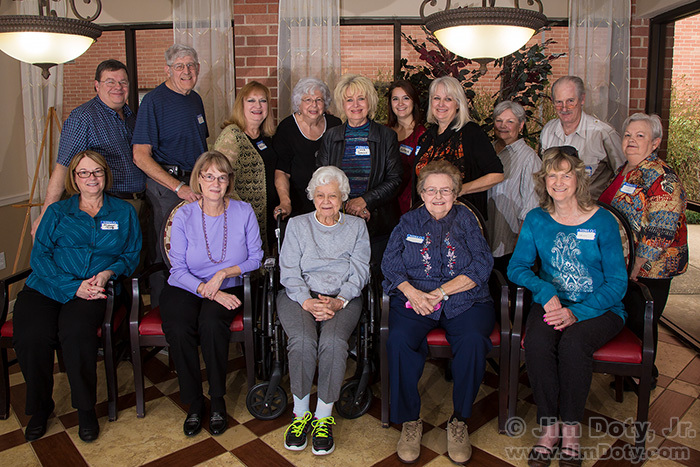 We were celebrating her 90th birthday and we did a group photo of her family and friends. This is my second favorite photo for January 13.